Zen Buddhism is often said to be a practice of mind-to-mind transmission without reliance on texts –in fact, some great teachers forbid their students to read or write. But Buddhism has also inspired some of the greatest philosophical writings of any religion, and two such works lie at the center of Zen: The Heart Sutra, which monks recite all over the world, and The Diamond Sutra, said to contain answers to all questions of delusion and dualism. This is the Buddhist teaching on the perfection of wisdom and cuts through all obstacles on the path of practice. 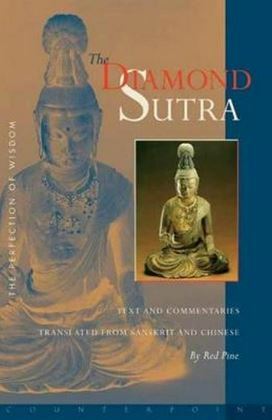 As Red Pine explains: The Diamond Sutra may look like a book, but it’s really the body of the Buddha. It’s also your body, my body, all possible bodies. But it’s a body with nothing inside and nothing outside. It doesn’t exist in space or time. Nor is it a construct of the mind. It’s no mind. And yet because it’s no mind, it has room for compassion. This book is the offering of no mind, born of compassion for all suffering beings. 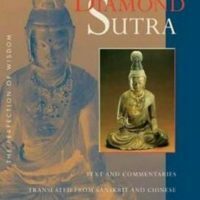 Of all the sutras that teach this teaching, this is the diamond.